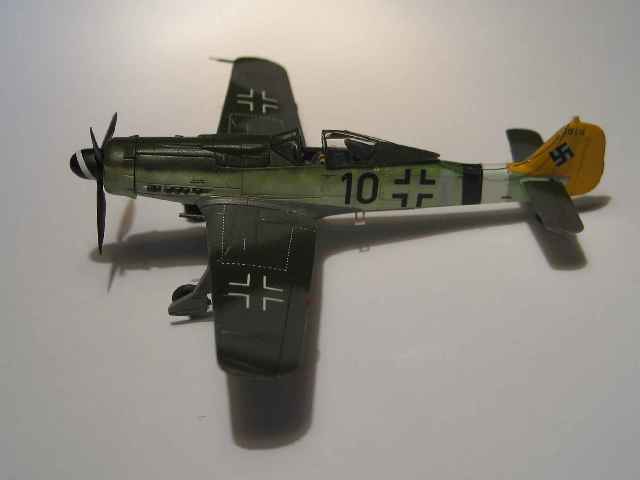 Here is my 1/144 scale Platz Fw 190D-9. 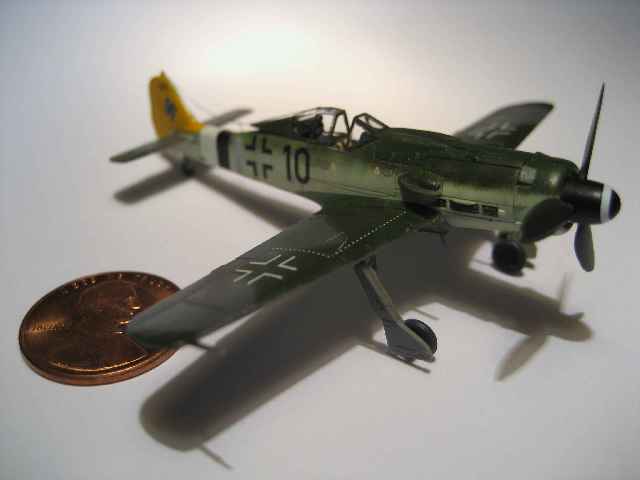 This was my first foray into very small-scale modelling. 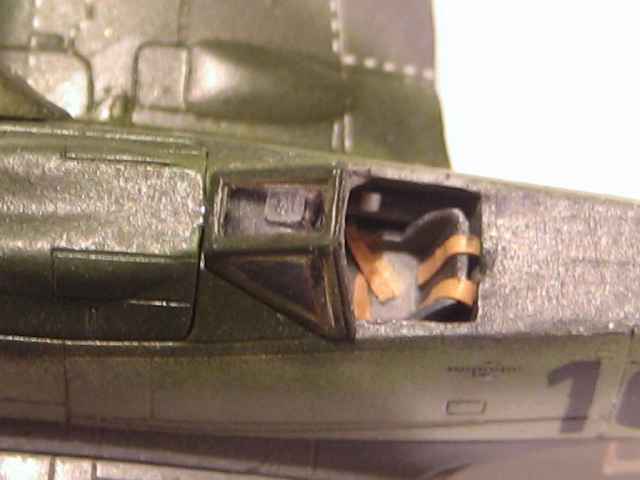 Like most Dora models, this model had enclosed wheel wells appropriate for the A series aircraft that I had to open up. 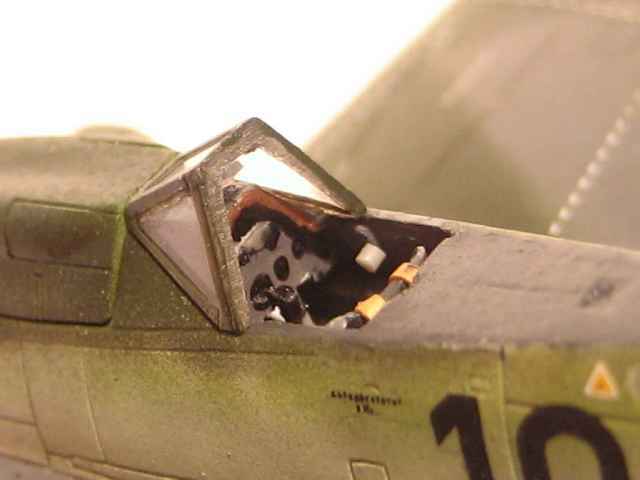 I scratch built a rear engine plug that would be seen in the open wheel well area. 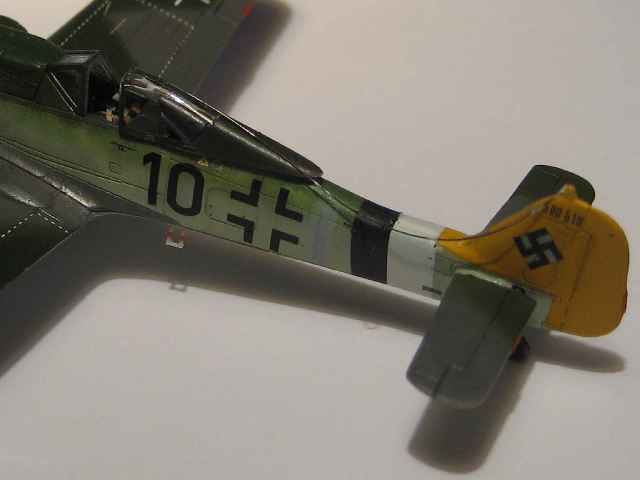 I scratch built an instrument panel and added a throttle, canopy operating crank, control column, gun sight, seat belts and boarding steps. Platz supplies extra conopies that are molded shut. 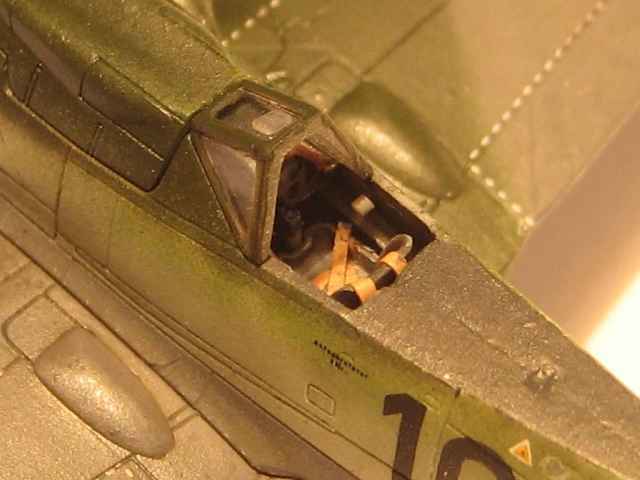 I used two of the canopies and cut them in half using the front half of one and the back half of the other to give the model an opened canopy. 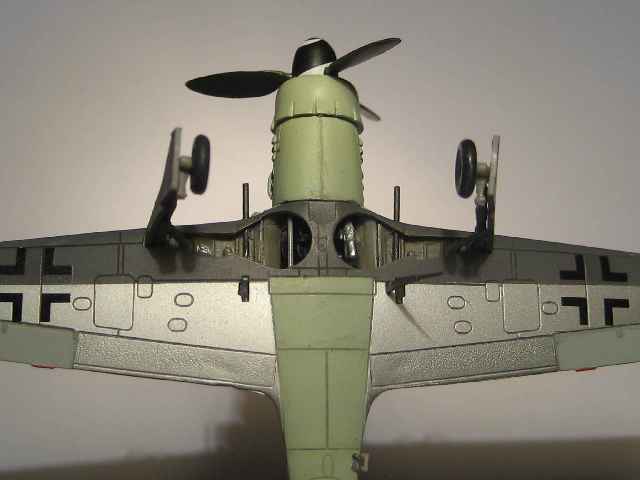 I added various antennas, drilled out the supercharger intake and used hypodermic needles for the gun barrels. 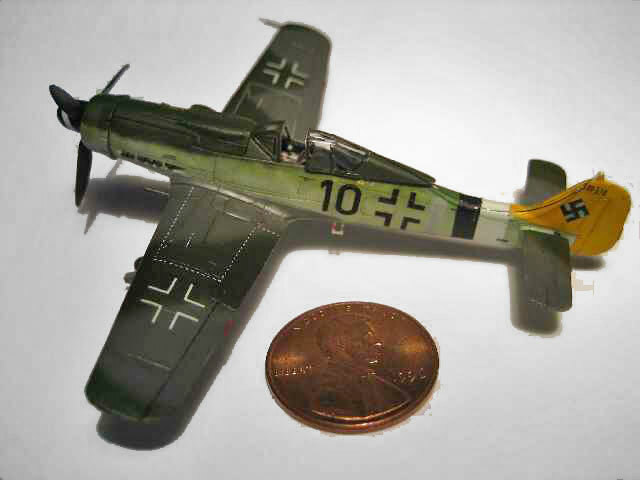 I used the supplied decals and Jerry Crandall's excellent Focke-Wulf 190 D-9 volume one as my references.